There are two ways to move the cursor. 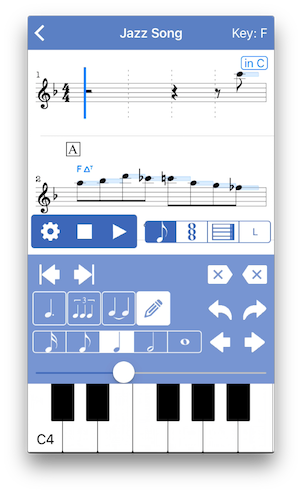 In test-play mode, you can hear the note you tapped without having to input it to the score. 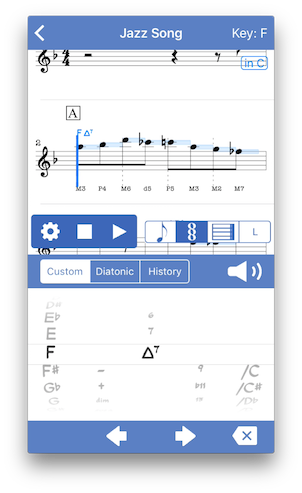 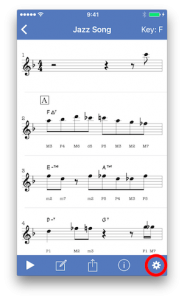 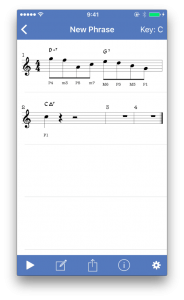 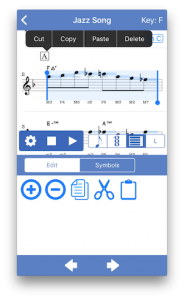 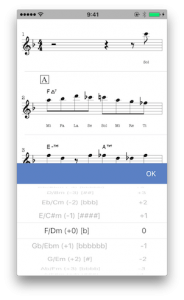 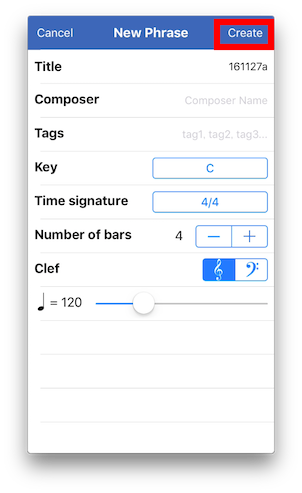 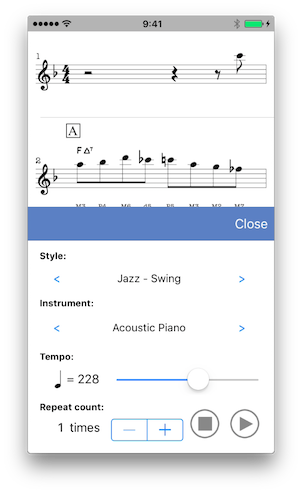 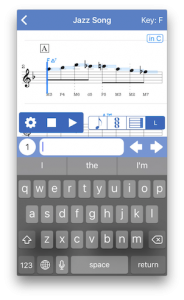 The diatonic chord palette makes chord entry easier. From the top, diatonic chords derived from major scale, minor scale, harmonic minor scale and melodic minor scale are lined up. Need more documentation. How do you use ties and also how do you enter dotted notes? How do you change the length of a note from a eighth to a dotted quarter? How to sync between iPad and iPod? Currently, there is no synchronization function between devices. 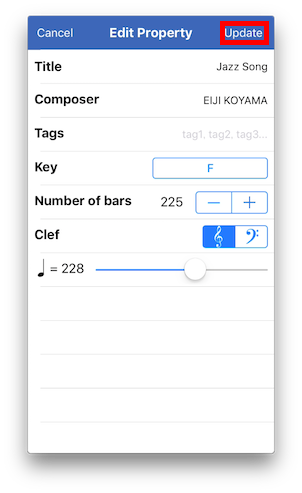 It will be supported by future updates. 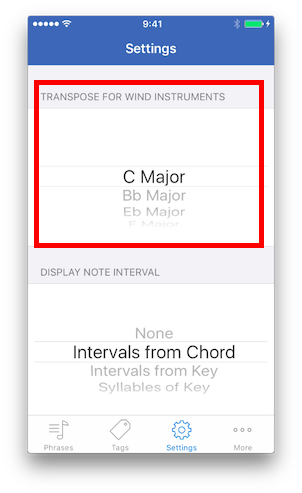 How to add pauses and notes in between if forgot when writing? 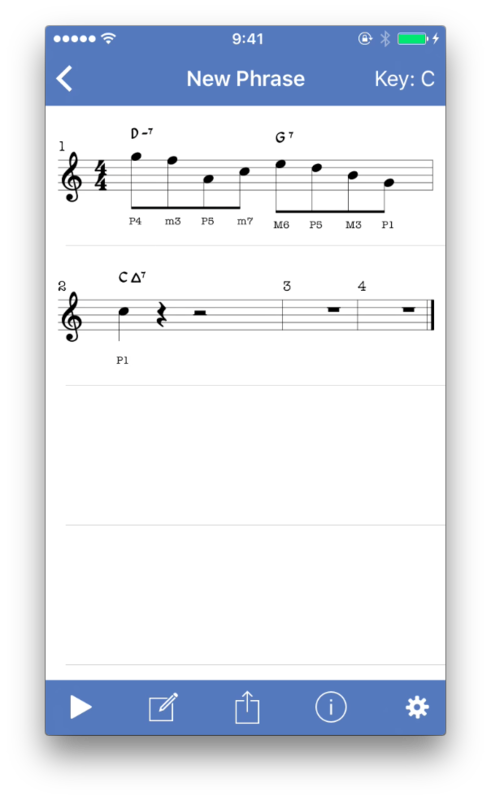 How to copy and paste from the middle of the bars/sections? Does that mean overwrite? Currently, overwriting and copying in units of notes are not supported. I will consider them in future updates.